'Mas' (masquerade) has been an enduring theme in the work of poet and painter John Lyons. 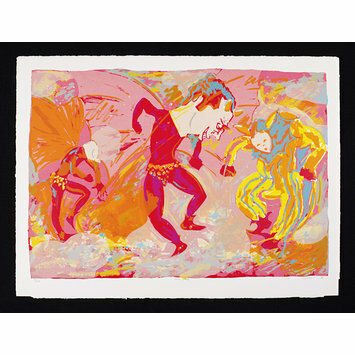 In this screenprint he evokes the heat and colour of Trinidadian carnival as three masqueraders energetically perform. The central figure is 'Jab-Jab' (from the French diable); the devil disguised as a clown. His licentious character is evoked in the hot reds and fleshy pinks of Lyons' print. 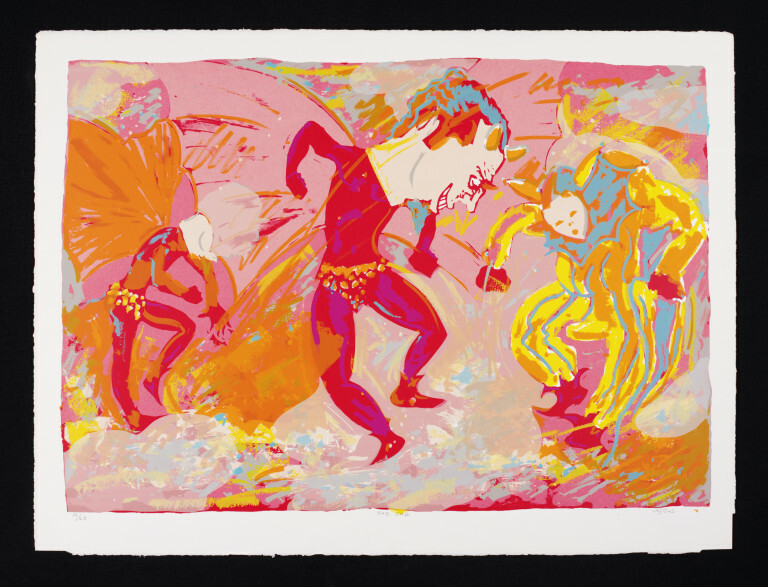 Lyons was one of fifty artists commissioned by John Phillips of the Paddington Printshop in 1988 to form a set of screenprints entitled 'Jouvert' (Trinidadian patois for daybreak or 'beginning').